The programs we offer are designed with state standards and educational goals in mind from the beginning. That’s just one of the reasons that our programs are completely different from shows offered by most school show performers. 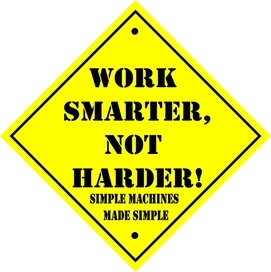 For my educational programs, I have three hard, fast, non-negotiables that every show MUST accomplish. The show MUST be entertaining for everyone who attends. The show MUST be educationally strong. And the show ABSOLUTELY MUST promote reading and encourage kids to read! This is done by introducing them to new books and series, reminding them of classics, talking about different types of materials they can check out from the Media Center and telling them what happens when they read every day (they learn to do all kinds of things, have all kinds of adventures and meet all kinds of people, to name a few!). Looking to have THE BEST SCIENCE NIGHT or LITERACY NIGHT PROGRAM EVER? Ask about our Best Evening Meeting Ever discount when you call! 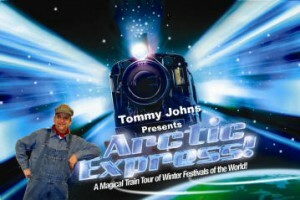 Tommy Johns Presents currently offers eight educationally significant programs for elementary audiences and three programs for middle school students, and we add at least one new program every year. Every program is packed with audience participation, comedy, music, magic, puppets and more and really motivates and encourages kids to continue their learning after the assembly ends by GOING TO THE LIBRARY! 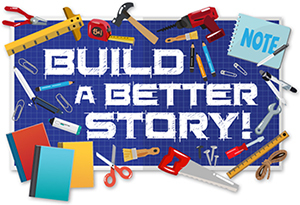 Build a Better Story teaches the elements of a good story, the importance of careful attention to detail and word choice, and how everyone can be a writer! From the very first moment of the show, your students are reminded of how a powerful story can pull you in and take you to wonderful places! This fun program encourages reading as a way to become a better writer and includes classic and new picture books, chapter books and other library resources. And of course it includes magic and puppets and audience participation, just like all of our other amazing shows! Your students will help rewrite a classic fairy tale at each performance and they will get to see their story online so they can add to it, illustrate it and show it to their families! My prediction? This is going to become one of the favorite shows in the line up! I Love to Read! is the most popular show in the lineup! This 45-minute assembly program is an interactive educational production that is part storytelling, part magic show, part game show and 100% FUN. I Love to Read shows kids just how much can happen when they LOVE to read! I Love to Read! features unusual puppets, crazy comedy, magic and audience participation to show how books can magically let readers meet all kinds of people, have all kinds of adventures and learn to do all kinds of things! New books as well as classics and award winners are featured in the show. A part of this program also teaches the importance of taking care of library books and returning them EARLY! Over and over we reinforce the importance of picking up a book and reading EVERY DAY. This unforgettable show will have your kids talking about the reading program for weeks to come! Reading: The Sport of Champions! 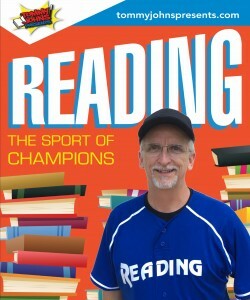 The TEAM of Roosevelt Rat and Tommy Johns have put together an all new, GOLD MEDAL worthy, reading assembly program for your school – Reading: The Sport of Champions! READING: The Sport of Champions! is our newest mega fun educationally significant program featuring magic, puppets, comedy, storytelling and audience participation! This engaging and hilarious show will entertain your students and teachers while they learn that good readers are WINNERS who can do almost ANYTHING! And like all our assembly programs, this one encourages kids to JOIN THE READING TEAM and read every day! The LINEUP features classic and new picture books, chapter books and other library resources, and as always, you’ll get a PLAYBOOK that includes a book list and posters to help make sure we give you the HOME FIELD ADVANTAGE! Kids will be RACING to check out books and other library resources when the show ends. Thank you so much for the wonderful job you did here at the Munford (AL) Public Library. Not Every Hero Wears a Cape! Not Every Hero also teaches kids what it means to be a hero. 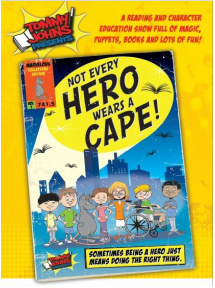 As we introduce the books in the show, we talk about the heroes we see every day like police officers, firefighters, teachers, parents, and MEDIA SPECIALISTS! But the show focuses on how your students can be heroes. All it takes is knowledge in your head, a desire in your heart, and the courage to take action. It all boils down to doing the right thing. We talk about liking yourself, working with others and making a positive difference in he lives of others. There is a brief anti-bullying message as well. Hilarious puppets Roosevelt Rat and Claudia the Hippo help us along the way as we explore and discover the hero inside of us all. The show closes with a discussion (and a cool magical effect) using the VERY popular book Have You Filled a Bucket Today? by Carol McCloud and David Messing. BONUS: Since there is a strong character education message in the program, you may even be able to work with your school counselor to provide or help provide funding for this program! I Had This Crazy Dream! is a program that encourages BIG DREAMS! This show introduces elementary and middle school students to seven people who had big dreams and worked to make those dreams come true! Using magic, puppets, storytelling and audience interaction, your readers will meet Hank Aaron, Martha Berry, Harry Houdini, Ellen Ochoa, George Crum and Philo Farnsworth. Students (and teachers!) will laugh at Beauregard Buzzard telling the story that inspired Ellen Ochoa to become an astronaut and they will listen quietly to the story of home run king, Hank Aaron. They will be amazed at George Crum and the story of the potato chip and will be inspired by Martha Berry’s peanut idea. In addition to inspiring kids to dream big (and to READ, of course), I Had This Crazy Dream! is a great show for a career awareness emphasis. We talk about the importance of having a dream, working hard to make that dream come true and how their teachers (including the media specialist) can help them find books that will allow them to explore possibilities and make their dreams a reality! Tell your counselors about this program and they may even be able to use some of their funding to bring this READING show to your school! Dig a Little Deeper introduces readers to the ten genres of reading material they can find in the library. (Who would have thought that a genre study could be so much fun?) It begins with a fun poem (above) and ends with a review that feels just like a game! The show encourages kids to explore the library and to find out about all different kinds of treasure that is waiting for them to discover. Students laugh and learn as they solve a mystery, travel back in time and discover that poetry can be hilarious! 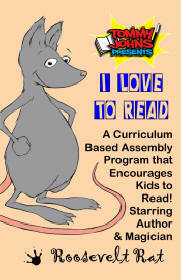 Roosevelt Rat even introduces the audience to formats like audiobooks, graphic novels and e-books! 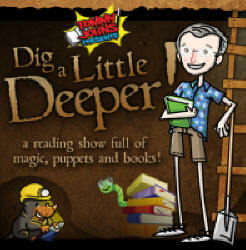 This is a great kickoff or reward show as well as a great show to introduce your readers to the different types of resources that they can enjoy if they just “Dig a Little Deeper” into the library! Hi Media Specialist friends! I just wanted to take a minute to offer some praise to Mr. Tommy Johns! He came to our school yesterday and did his “I Love to Read!” presentation for our 2nd-5th graders. He arrived early, set up all by himself, and even helped seat the classes as they came in. He knew how to manage the kids and kept them HIGHLY engaged and amazed us all with his magic! Also, our kids have been checking out books like crazy today after his awesome “pep talk!” Oh, and the dismissal was where his praise was highest with teachers!! You could hear a pin drop it was so quiet!! Anyway, I have had LOTS of students and teachers asking when he is coming back! If you can, have him come to your school. He was totally worth it! Go Wild! Science in Your Own Backyard! Tommy and his puppet friends will be taking your kids on a wild and imaginary tour of their backyards, neighborhoods, and community parks. Through puppetry, magic and storytelling, Tommy and his furry and feathered (puppet) friends will teach young readers about how to use the Scientific Process to answer questions about their own environment. It looks like a science show, but it is all about getting kids excited about READING! Along the way everyone will learn interesting facts about the plants and animals that live among us everyday, from color changing lizards, and inventive birds, to animals that change forms. Get ready for another fun, educational, and entertaining program that will have your kids racing for books and talking about the show months after it’s over. This hands-on workshop, developed in conjunction with staff from the National Science Center in Augusta, GA, allows learners to handle wheels, pulleys, levers, wedges, incline planes and screws in a way that makes abstract concepts “concrete” (yes, the pun was intended!). Tommy comes in dressed as a construction worker, but the children from the audience are the ones who do the work. Your tactile learners will come to life as they help figure out how to lift a 50 pound bucket of rocks with a 5 pound weight, and why a wedge is such a handy tool. Using levers, your youngest students will be able to easily accomplish feats that NO human being can accomplish bare handed. This is a presentation that will be remembered and talked about for a VERY long time. Teachers will have no problem tying lessons into the subjects taught. And because the program also promotes reading and media center resources, it is a program that everyone appreciates! We look at and discuss biographies of inventors, discover that men women and CHILDREN can invent cool stuff, and even look at fictional inventors. This holiday season treat the kids to a program that’s trainloads of fun, filled with puppets, magic, storytelling, music, and audience participation. This imaginary train ride magically takes kids around the world to learn about winter holidays like: Diwali, Kwanzaa, Solstice, Chinese New Year, Hanukkah and of course, Christmas. Yes, the program is educationally significant (we can’t help ourselves, we are obsessed with creating the most educational programs available without compromising entertainment value), and yes, the program strongly encourages children to read. But don’t think for a minute that the show is anything less than sheer delight for everyone, including teachers and staff. When you hear the sleigh bell ring at the end of the show, you won’t be the only one to wipe a tear from your eye. This is a show children will remember for the rest of their lives.